Product Description- Sun exposure, pollution and weather change make the skin layer dull and lifeless. Apart from regular cleansing, it is essential to clean the dead skin. 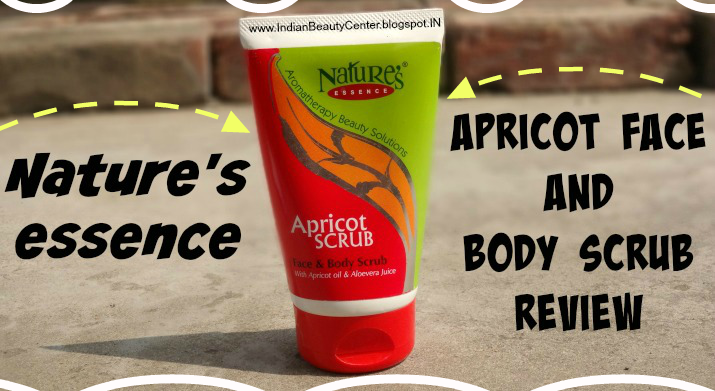 Nature’s apricot scrub is based on the properties of apricot peel which deep cleanses the skin pores and dislodges the dead skin. 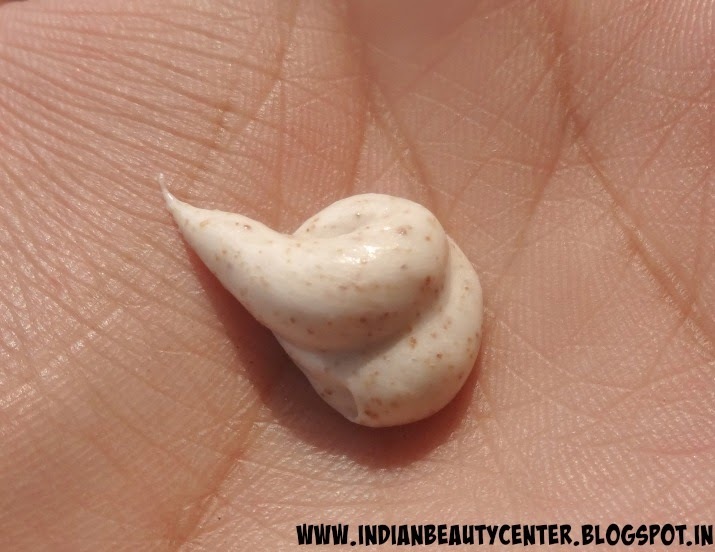 This makes the skin look more radiant, clean and radiant. Key Ingredients- Aloe vera juice, apricot oil, apricot grains and carrot seed oil. 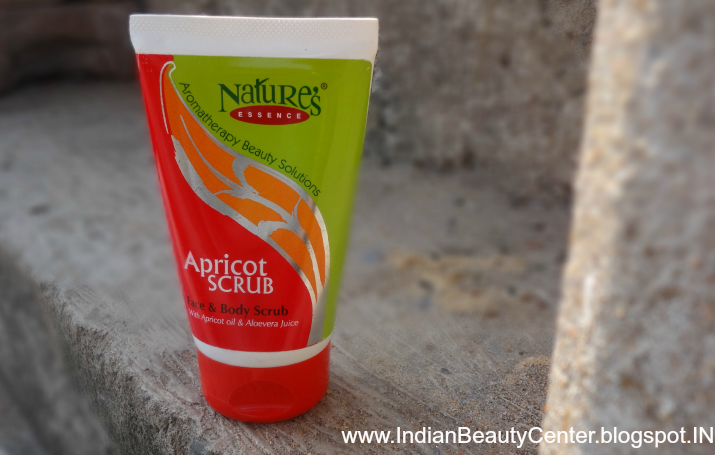 I have always wanted to try an apricot scrub and I when I used it on my body for the first time, I felt that I needed too much of the product. I thought I would get only one use out of this whole tube that cost me around Rs. 145. But, I managed to get 2 full body scrubs and 2 face scrubs out of this and still, quite some amount is left in the tube and i think I will be able to manage one more full body scrub application with it. So, I find this very cost effective. Personally, I have not yet developed trust for The Nature's Essence brand as I don't own much products from the brand. Seriously, this product has impressed me. It removed all the dead skin cells and the apricot particles are of perfect fineness. Slightly coarse are the particles but I like it. I find the fragrance a bit unnatural like that of some cheap body lotion or lipstick but thankfully, the fragrance does not linger on. My skin felt soft and smooth and bright after using this and the effect lasted for around 2 days. While most body scrubs are too costly and the quantity of product provided is too less, I get to use this body scrub once every week without being afraid of spending "too much". 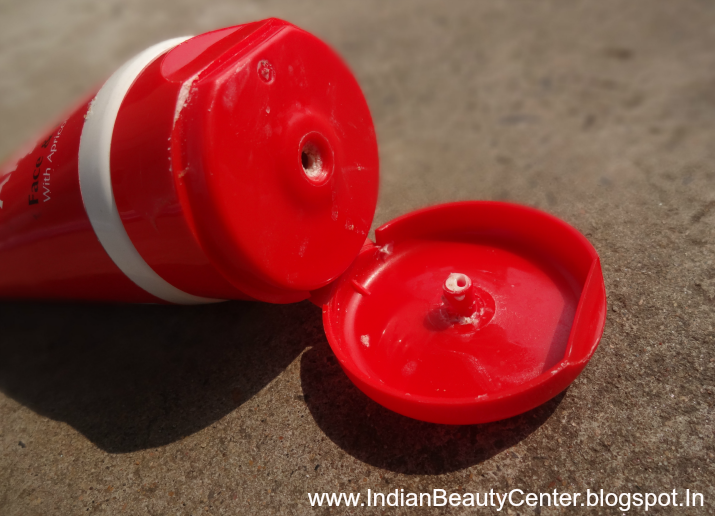 I was extremely skeptical about trying this on my oily, sensitive, acne-prone skin but this did not seem too harsh on my skin and removed all dead skin cells and dirt effectively. Its creamy consistency did not make my face very oily or anything. It did not scratch my skin, like I imagined :P Neither did it cause any acne not did it irritate my skin, rather this made my skin soft and glowing. Just remember not to use too much of pressure while scrubbing your facial skin in circular motion. It might leave a sort of layer on your skin after usage but you should always use a good face wash to remove all the oil from your skin after using this. 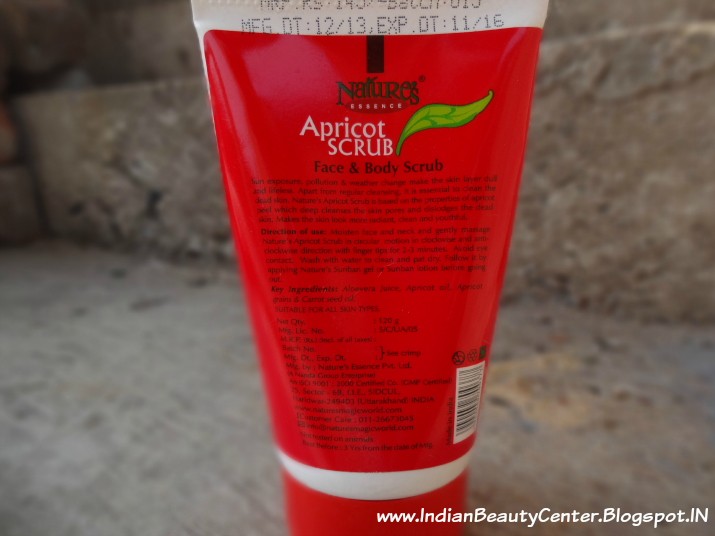 Overall, this scrub perfectly fits my budget and does its job, both as a face scrub and as a body scrub nicely. I will definitely recommend everyone of you to try this out. Looks a great product. .
Nice review arpi..hapoy diwali n how r u dear ?? I have tried an apricot scrub from St Ives before and quite liked it though the beads were quite rough. This one you have shared sounds like worth the try. Let me see if I can find it over here. I have never used this Arpita. Thank you for the review. And a very happy diwali to you!